The ICMAB is involved in the Open Innovation Forum 2019, where companies launch technological challenges and universities and research centres suggest solutions. 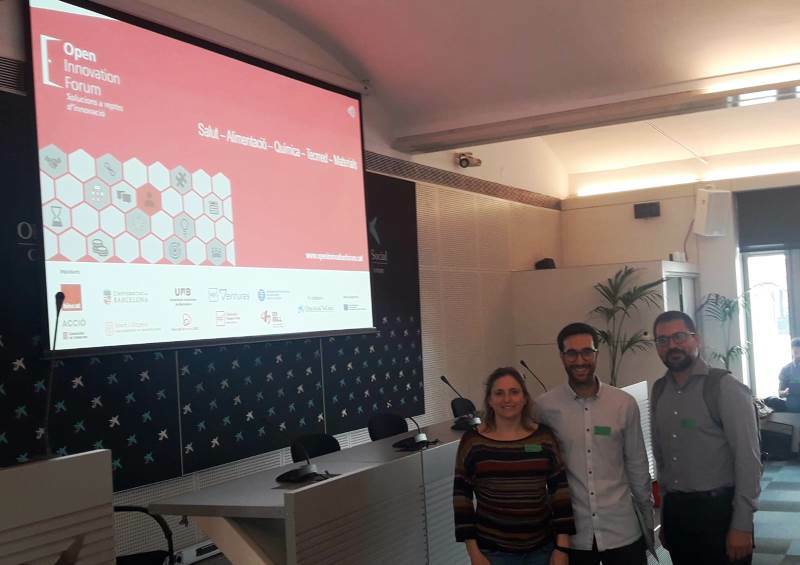 Our Technology Transfer Officer, Alfonso del Rey, and some of our researchers are their to present their innovations, tackle the existing challenges and have meetings with multiple companies that might be interested in them. The first meeting takes place on 3 April in CaixaForum. After the great success of the first edition, the Open Innovation Forum is back! This program gives companies the chance to share their innovation challenges and get proposals from research groups and centers to solve them. The Open Innovation Forum is a great opportunity to meet the right collaborator to tackle your innovation challenges. Throughout 2019, there will be several gatherings bringing together the innovation challenge-generators and problem-solvers, with a schedule of pre-arranged interviews so companies can cut development time for the products and services they need to boost their competitiveness. The online platform will be open throughout 2019, and with the single payment of an annual fee, innovation challenges or solutions can be submitted all year long. A committee will assess these challenges and choose the most relevant ones, which will get feedback on possible solutions from Catalan innovation stakeholders and university research centers. They will also be invited to the gatherings with the problem-solvers. The meeting is open to Catalan companies with needs for innovation, with the development of new products and services, or with an interest in exploring new opportunities for innovation; and to research groups of universities and technology centers with an interest in applying their research to the Catalan business network. The first meeting takes place on April 3, 2019 at Caixaforum Barcelona. The forum is open to any company with innovation needs, developing new products or services, or interested in exploring new innovation opportunities; and to university research groups and technology centers interested in applying their research in the Catalan business arena. The Open Innovation Forum consists of several meetings throughout the year. On Wednesday 3 April 2019, there is the first meeting, in which companies and researchers are able to meet and discuss about the challenges, the solutions and ways of collaboration. ICMAB is taking part in the Challenges Committee. The Committee reviews the challenges and helps the companies in defining their needs. It also has regular meetings to discuss the challenges and the solutions suggested by their researchers. This allows the preparation of global solutions that need the participation of different researchers from different centres, giving added value to the companies.